Jasinda Wilder rocks. She just released chapter one/Ever's POV from the soon to be released The Ever Trilogy (see below). 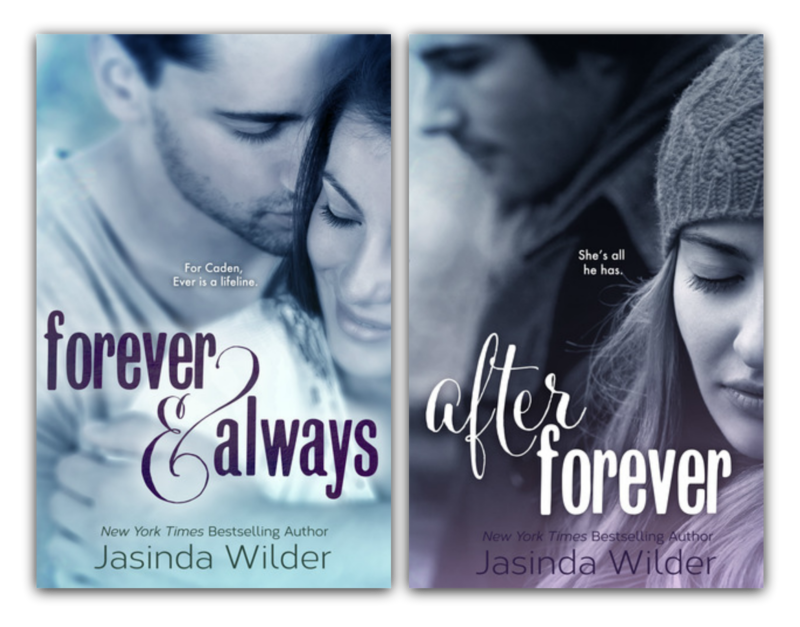 Jasinda will be giving out one Kindle e-reader, $100 Amazon gift card and signed paperbacks of Forever & Always and After Forever to celebrate the December 20th release. There will be other amazing giveaways at her FB event that you are invited to join Here !!! FYI - Forever & Always is now up for pre-order on iBooks! It won't be up early on Amazon, B&N or Kobo so if you want the pre-order delivery, iTunes is the place to go. It will be live everywhere else on December 20th! Follow the Promo Tour tomorrow to read Chapter Two! garage, laid a huge twenty-by-twenty canvas over them, and tossed mammoth blobs of paint down. I’d used my hands to spread it around it arcs and whorls and streaking lines, then added another color and another, mixing and daubing, smashing gouts together with my palms and tracing delicate lines with my fingertips and aggressive sunburst rays with my palms.